You see these health dictocrats — the politicians… government guys… the FDA… and food production companies — are getting paid billions to tell you lies about which foods are considered “healthy”. But behind the scenes, they’re producing this new processed, space-age, alien molecule stuff — telling you it’s the healthiest. The “healthy” food you eat today is toxic – it’s been completely changed by our modern environment. “Fake News” has become a cultural buzz word more recently — I’ve been talking about it for the past 20 years. You see, when the mainstream media… government “experts”… and special interest groups push this phony news — I feel a responsibility to speak up and shine a light on the truth. I’ve treated patients from all over the world, with different lifestyles… exercise routines… and cultural influences — the biggest problem I’ve seen are “healthy” diets. You see these guys want to get their greedy hands on the roughly $12 billion dollars spent daily by you — and 50% of health conscious adults in America today — on supposedly nutritious foods you think are keeping your body energized and healthy. And they’ve got their fancy “experts” telling you a healthy diet will increase your energy… make you look and feel years younger… and keep you healthy. Our ancestors ate REAL protein-packed meat getting all the nutrients they needed from their food. About 3.7 million years ago, it was indeed possible to follow a healthy diet — consisting of fresh produce… grains… and meats — and get all the needed vitamins and minerals from food. There were no governments or other authorities around to tamper with the natural processes of Mother Nature. Soil was clean and pure. The only fertilizer needed was naturally provided by the animals — and 100% chemical free. What grew from the ground was organic in the fullest sense. Animals could safely feed on grass… grains… vegetables… and fruits — and naturally fortify their meaty flesh with pure… unadulterated… and easy to absorb nutrients. Eating foods THIS way is why our ancestors stayed lean… toned… and healthy. 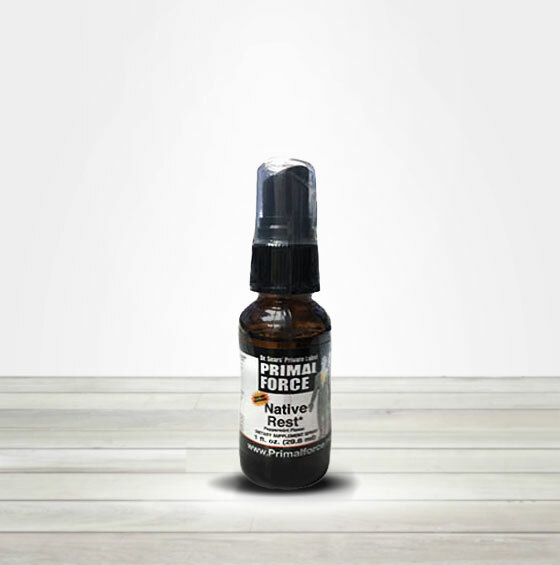 Their native or primal energy alone could fuel more youthful cellular activity… promote strong organ function… and strengthen their immune defenses. Big Agra… the FDA… and Big Pharma all know it’s the truth and they are doing everything they can — like planting phony advice mainstream health media outlets — to convince you it’s still possible to eat “healthy” foods and keep your body in the best nutrient-rich state possible. All the food you eat from today’s 21st century soil is laced with toxic pollutants. And it’s for this exact reason the FDA, EPA and USDA felt it wise to partner up with Big Agra and regulate “toxin tolerance”. This is the approved amount of harmful contaminants allowed to remain on foods and produce before you — the trusting consumer — purchase it. The government approved allowable amount of toxin exposure still prevents essential nutrients from getting where you need them most. Deliver long-lasting cellular energy — so you stay ACTIVE and FEEL GOOD. Keep heart, lung, kidney and brain activity STRONG. Increase metabolism activity — to shed unwanted pounds. Strengthen immune defenses — so you GET SICK LESS. Reduce wrinkles… age spots… and other visible signs of aging. Even worse, the toxins you ingest from your diet travel through your body — lodging themselves in your organs… muscles… tissues… and cells. This causes an immediate inflammation trigger. Inflammation is the root cause of all chronic disease. And all the toxins from our diet forces your body into a continuous inflamed state. Inflammation causes your body to go into a high alert — or “fiery” state. As a result, your body must work overtime to put out the “fires” and remove the inflammation triggers. In this case, the triggers are dangerous toxins ingested from your diet. A virus invades your body — specifically “starting a fire” in your digestive tract — and wreaks havoc on how it functions. Symptoms indicating inflammation in your digestive tract include vomiting… sweating… stomach pain… maybe even bouts of diarrhea. Remove the virus from your body. Restore nutrients lost via vomiting… sweating… and diarrhea. Rebalance the functional activity in your digestive tract. Here’s the thing — every single one of these processes requires A LOT of nutrient-rich cellular energy to complete their respective tasks properly. Now in this stomach virus scenario — your immune system only needs to send nutrient support to ONE system to fight the consequences of just ONE virus. So that’s a total of 10 body systems in high demand for nutrient support to put out fires fueled by toxic inflammation. You have no back-up energy power to tap into when you feel tried… sluggish… and rundown…. …And certainly no extra immune strength to block toxins… remove pollutants… and prevent other inflammation triggers from attacking your body. Your inflamed body burns up all those essential nutrients — before you even get the chance to absorb them properly. So, the more toxins you ingest — the greater your chances for getting sick… going to your doctor more frequently… and taking prescriptions medications. But guess what? And guess who stands to pocket even more money by fueling the idea organic foods are best? You still lose valuable nutrients even if you’re eating an organic diet. You see, unless you only plan to eat foods in their completely raw state at every single meal — organic foods still need to be prepared… cooked… and stored. Each of these processes directly affects how many essential vitamins… minerals… and other nutrients are available for your body to absorb and turn in to energy. Eating what you need to stay healthy is a lot of work… And Big Pharma still wins. So, these so-called claims about healthy diets providing all the nutrients you need to stay healthy and strong — fueled by these corporation guys — are simply not true. And Big Pharma — the biggest winner of them all — keeps the steady flow of money pouring in because toxin exposure and nutrient deficiencies are guaranteed to make you sick. Big Pharma is eager to pump you full of as many medications and prescription drugs as they can. Every single nutrient I’ve selected to create Daily Power specifically works to counteract even the most severe nutrient deficiencies caused by “healthy” diets… inflammation… toxin exposure… and aging. My team and I have spent countless hours doing research… studies… and tests to determine the exact amount of each essential nutrient needed — not just to keep you healthy — but to restore your body’s native energy. To active your body’s native energy — that’s the raw, natural, vitality-restoring energy of our ancestors — you need the most potent doses of essential nutrients — without any risk of toxicity. With Daily Power you get DOUBLE — even TRIPLE — the amounts of all the essential nutrients needed to refuel your body with a whole new level of energy… force field immune protection… and age-defying back-up support. B vitamins are critical for healthy living on all fronts. And because your body needs a constant supply of energy — I’ve made sure to precisely measure these B-vitamin dosage amounts so not one single body system… organ… or cell misses out on the fuel needed to stay active and strong! Protect your vision — Folic acid, B6 and B12 are valuable nutrients to protect the health of your eyes. Several studies on these B vitamins revealed taking them long-term helps keep the lens of your eyes clear and retinas strong. And another placebo-controlled clinical trial revealed women taking B vitamins had more macular support to fight against degeneration in eye health. Make you FEEL GOOD — When you have more energy — you just FEEL good. Stress levels… anxiety… and negative feelings decrease in severity and frequency when healthy levels of B vitamins are present in your body. They work to boost serotonin levels — your all-natural mood lifting hormone — to keep you staying upbeat and happy. Sharpen your memory — On average you lose 2% of your brain volume every 10 years. This is considered a normal part of aging. A toxic amino acid called homocysteine significantly increases your brain atrophy rate. However, one study revealed participants taking high dose B vitamins during a 2-year period experienced reductions in brain atrophy and scored higher on cognitive function tests compared to the placebo group. In fact, those with the highest homocysteine levels reduced their atrophy rate by 50% compared to the placebo group. Strengthen your heart — High homocysteine levels also increases your risk for artery damage… plaque buildup… and even triples your risk for heart attack. But B vitamins come to your rescue by reducing the presence of homocysteine before it has the chance to endanger your heart. B vitamins are critical for healthy living on all fronts. And you can have the confidence every time you take Daily Power — you’re delivering the right amount of B vitamins to every single system… organ… and cell that needs it. With all the toxins you’re exposed to eating contaminated foods — so kindly provided by Big Agra and the FDA — you need powerful antioxidant support to counteract the side effects. You need the antioxidant powers of Vitamin C to fight off all the toxins you’re exposed to from contaminated foods. Hundreds of studies performed on vitamin C show — first and foremost — it’s critical for strengthening your immune system. It delivers the nutrient power needed to help your immune system defend your body from damage caused by toxins… free radicals… and other harmful pollutants. This carotenoid — is essential for healthy, more youthful-looking skin. Beta-carotene provides the nutrient support to grow… protect… and repair old and damaged skin cells. So things like flakey skin… excessive dryness… and other annoying symptoms related to poor skin health can be reduced — even eliminated altogether— by supplying your body with hydrating properties contained in beta-carotene. In fact, your body uses your hair as a means or outlet to eliminate toxins building up in your body. That’s why you end up with a dry, itchy scalp… dandruff… or just dull, lifeless looking hair. But what really gives Daily Power — it’s unique POWER — are the other 36 nutrients I’ve included in the formula to help you experience a new level of healthy living. You will soon have all the nutrients you need to live a more active, healthy life. And when you look in the mirror — you’ll finally SEE a more youthful complexion — and physique — because your body has what it needs to activate your native, youthful energy reserves once again! Get a FREE Bottle — when you purchase 2 bottles of Daily Power — at the introductory price of just $79.90! But I’ve done all the calculating… measurements… and tests for you to ensure quality nutrients arrive in the right amounts — where your body needs them most — at just the right time! In this easy to download e-Report, I’ll tell you how you can regain all the energy… strength… and resistance to disease you had when you were in your 40s… 30s… even 20s! How to burn energy like a 20-year-old — and regain a lean… trim… and healthy physique! Why losing muscles AGES YOU FASTER — Did you know you lose 3 pounds of muscle mass every 10 years? I’ll explain why. 10 simple age-defying exercises — These simple moves are guaranteed to take decades off your look! The most important medical discovery of all time — It’s the key to extending — even regaining — your dream body shape! Would you be surprised to know our ancestors were healthier because they relied on stress to keep them alive? And these stressors rob your body even more of nutrients… keep you feeling weighed down and sick all the time… and making you look years older than you are… In this special report, I’ll give you all the techniques and remedies designed to help your body process stress the way our ancestors once did for more energy and vitality! Mother Nature’s anti-stress remedy — This hormone is your body’s all-natural stress-diffuser! A guaranteed “Stress Shield” for your body — It’s the FASTEST, most inexpensive line of defense to lower stress levels in just seconds! You’re not getting anything but JUNK in these popular multi-vitamins on the market today! These synthetic versions don’t have anywhere near the right dosage to do any good for your body. All you have to do is send back your used and unused bottles of Daily Power — within 90 days of purchase — and you get 100% of your money returned promptly back to you. No questions asked. No explanation required! Even better — you get to keep your ALL your FREE gifts at no additional cost! I love Daily Power — I recommend it to all my family and friends! My immune system is stronger — and I don’t get sick as often anymore. I also have much more energy! You just can’t get all these nutrients in other multi-vitamins. I get more protection from Daily Power than any other single vitamin. Daily Power is convenient… easy to take… and gives me all the nutrients I can’t otherwise get from diet alone. I’d tell everyone to take Daily Power! A Nobel-prize winning breakthrough guaranteed to SHUT DOWN inflammation! P.S. 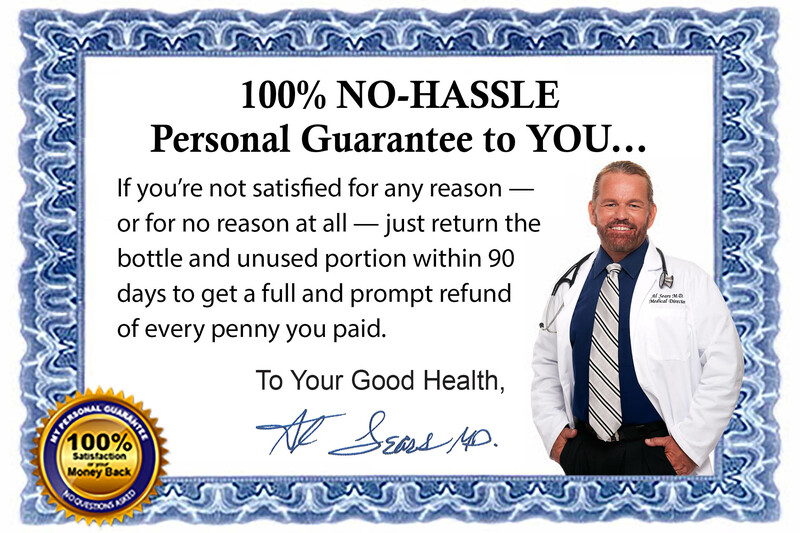 All you have to do is choose my Special Introductory Offer and your $108.75 in FREE gifts — that’s your 1 FREE Bottle of Daily Power… 2 special e-Reports… FREE shipping and handling… and my personal Take Your Power Back or It’s on Me — Money-Back Guarantee — are yours to keep! You’ll have everything you need to build a fortified wall of nutrient power to block harmful toxins from making you sick… tired… and just plain old! I give you my word, if for any reason whatsoever you’re not completely satisfied with Daily Power, just send the bottles back — both used and unused — within 90 days of purchase. I’ll send you a FULL refund. No questions asked — and I’ll make sure every single cent you paid is promptly returned to you. No explanation required! I want you to feel completely confident in your purchase. I’m absolutely certain the clinically tested, scientifically proven nutrients in Daily Power will help you re-energize your body with need fuel to fight off harmful toxins so you look and feel years younger in record time! Plus, all your FREE gifts and Bonus Free gift are yours to keep without any further obligation or cost to you. Take Your Power Back and SAVE Your Pennies with My… Special Introductory Offer! Get 1 FREE bottle of Daily Power when you purchase 2 — Plus FREE S&H! And $108.75 worth in FREE Gifts! Protect against a variety of cancers by combating free radicals and helping neutralize the effects of nitrites found in packaged foods that may increase risk of cancer. Buy 1 Bottle of Daily Power for $39.95 plus S&H. 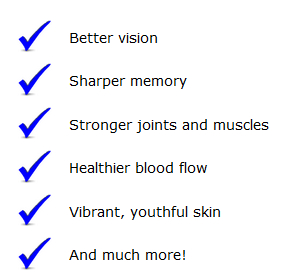 1 “Healthy Aging.” Johns Hopkins Medicine. 2. “Vegetarian diets and blood pressure ameta-analysis.” JAMA Internal Medicine. 2014. Bednar C., Kies C. “Nitrate and vitamin C from fruits and vegetables: impact of intake variations on nitrate and nitrite excretions of humans.” Plant Foods Hum Nutr. 1994 Jan.
Moore L., et al. “Adults Meeting Fruit and Vegetable Intake Recommendations — United States, 2013.” Centers for Disease Control and Prevention. July 10, 2015. 5 Whitaker J. “Nutrient Spotlight: Benefits of B Vitamins.” Dr. Whitaker. 2017. 6 Nordqvist C. “Fat In Stomach Can Turn Vitamin C Into A Cancer Trigger.” Medical News Today. 6 September 2007. 7 Bednar C., Kies C. “Nitrate and vitamin C from fruits and vegetables: impact of intake variations on nitrate and nitrite excretions of humans.” Plant Foods Hum Nutr. 1994 Jan.
Song P., et al. “Dietary Nitrates, Nitrites, and Nitrosamines Intake and the Risk of Gastric Cancer: A Meta-Analysis.” Nutrients. 22 September 2015. Barbato J., et al. “Nitric oxide and arterial disease.” Journal of Vascular Surgery. July 2004. Cosgrove MC., Franco OH., et al. “Dietary nutrient intakes and skin-aging appearance among middle-aged American women.” Am J Clin Nutr. 2007 Oct.
Nordqvist J. “Zinc: Health benefits and warnings.” Medical News Today. 28 March 2017. Sullivan L. “Alpha Lipoic Acid for Skin Care, Whitening and Tightening. How Much to Use.” Skincare.org. November 16, 2015.